Vigía. An exclusive new reference from Trinidad. Feb 11, 2014. 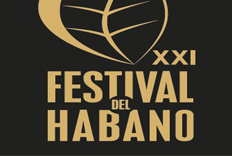 The two Michelin stars chef Ron Blaauw, together with the renowned sommelier Cuno Van't Hoff, will be responsible for preparing a very special dinner where haute cuisine will be combined with the prestigious Trinidad and Cohiba brands.